Dynamic DNS: is it still useful, or is it now irrelevant? Over 10 years ago I wrote about Dynamic DNS (DDNS), asking if you really need a static IP address if you want to access your camera or CCTV system from the Internet. The answer was ‘no’, because of the ubiquity of Dynamic DNS services which were, at that time, starting to become embedded in camera firmware. Similarly, IP camera manufacturers were beginning to offer their own DDNS services which made life a whole lot easier for end users. 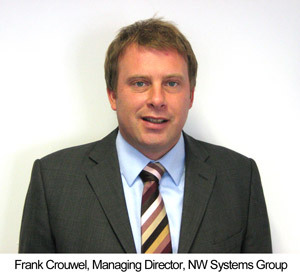 As DDNS is now a mature technology, is it still useful and relevant today? Posted in CCTV Security, Technology | Comments Off on Dynamic DNS: is it still useful, or is it now irrelevant? The Axis F series offers a very flexible way of creating a high performance IP CCTV system – complete with video management software and remote access – all without the need for a dedicated PC, server or Network Video Recorder (NVR). An F series camera consists of separate HD sensor / lens units which connect to a main unit (the body of the camera) via a cable. Axis refer to this design as a ‘divided concept’ and a choice of 7 lenses offers users the flexibility to build a surveillance system to meet their exact needs. Since the series was launched in 2014, we’ve seen the Axis F series used for a wide variety of indoor, outdoor and mobile surveillance applications. The ultra compact design and options for discreet installation make these cameras particularly popular with small office-based businesses, independent retailers and restaurants. We’re going to show you how you can put together your own system in 3 easy steps. A well-known form of ‘Creep’ many of you will have heard of is Mission Creep linked to humanitarian interventions in war-torn countries which escalate into, initially unintended, long-lasting military campaigns. In the world of software coding, programmers talk about Feature Creep as system features or capabilities are extended mid-way through projects. Meanwhile, project managers frequently bemoan Scope Creep, the process by which a project grows beyond its originally anticipated size or complexity. IHS’ global report on the video surveillance market based on 2013 sales (which should be out by June 2014) may even reveal that the global ‘value tipping point’ has already arrived – spurred on by rapid migration to IP video in China and the rest of the Far East. Original SD cards, called ‘SD Standard Capacity’ or SDSC, could provide only 2GB of storage only 10 years ago. High Capacity SD cards (SDHC) offering up to 32GB reached the market in number some five years ago. This development prompted an explosion of IP surveillance camera launches with in-built SD card slots designed for edge-based recording. Moore’s Law continues to go to work so that today SDXC cards (eXtended Capacity SD Cards) already offer 2TB of storage capacity. 128 GB SDHC and SDXC cards are available today in larger and larger numbers and prices are falling fast. This is a game changer for edge-based recording because it makes the storing of high frame rate HD video images increasingly easy and inexpensive. To give you an idea of the level of penetration of edge recording – of the 69 network cameras listed in Axis’ latest product comparison tables published in February 2013, 45 now offer SD card slots. Almost every new camera model launched this year comes with a SD card slot. How useful are the Home Office’s i-LIDS video analytics tests in today’s world? Following NW Systems Group’s look at the new Surveillance Camera Code last month, we decided to follow up this month by taking a closer look at the world of video analytics. 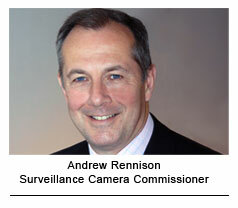 One of the most significant pieces of news for the UK surveillance world has been the appointment of the new Surveillance Camera Commissioner Andrew Rennison back in September 2012 and the subsequent publication, on 7 February 2013, of a draft Surveillance Camera Code of Practice Pursuant to Section 29 of the Protection of Freedoms Act 2012. The Act promises ‘further regulation of CCTV’ as surveillance technologies improve and potentially threaten individuals’ rights to privacy. Consultation on the draft Code closed on 21 March. Having been in the business for more than the last 13 years, we figure we know a thing or two about a number of things: what’s likely to be a fad; which piece of high-tech is not quite mature enough for the marketplace, and which systems are coming into their own. At this time of year, it’s always interesting to predict the big hitter developments in the industry. 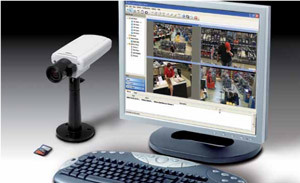 Here at Network Webcams, we offer our predictions of what’s hot and what’s not in video surveillance and IP cameras for 2013.